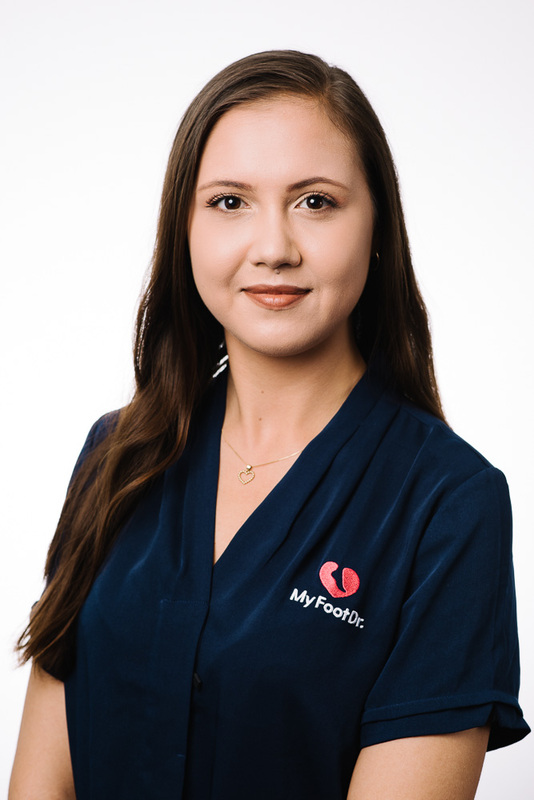 Anastasia joined My FootDr as a graduate in 2018. She began working as a podiatrist at My FootDr Toowoomba before moving to Darwin, where she practices at our Casuarina and Palmerston locations. She has a passion for helping patients of all ages, helping to treat heel pain, heel spurs, forefoot pain, arch pain and general skin and nail conditions. In addition, she recently completed her laser therapy qualification, allowing her to treat fungal nails with our laser therapy.